Ten years ago, things were grim for Westfield Church. Like many mainline churches, membership had slowly declined, dwindling to services hosting as few at 12 during the summer months. Over seven and a half years, two interim ministers did their best to speak the hard truth to the people of Westfield. Gone were the golden days of mainline Protestantism–the throngs of people who had so long attended out of holy obligation weren’t coming back, at least not with how things were. The hard work of those 7.5 years came down this: change or die.There wasn’t anything left to lose–there wasn’t any money and hardly any people. And so the small group of core members who were still around decided to give it their all, even if it meant church wouldn’t look the same as it always had. If they were going to die, it wasn’t going to be without a fight. 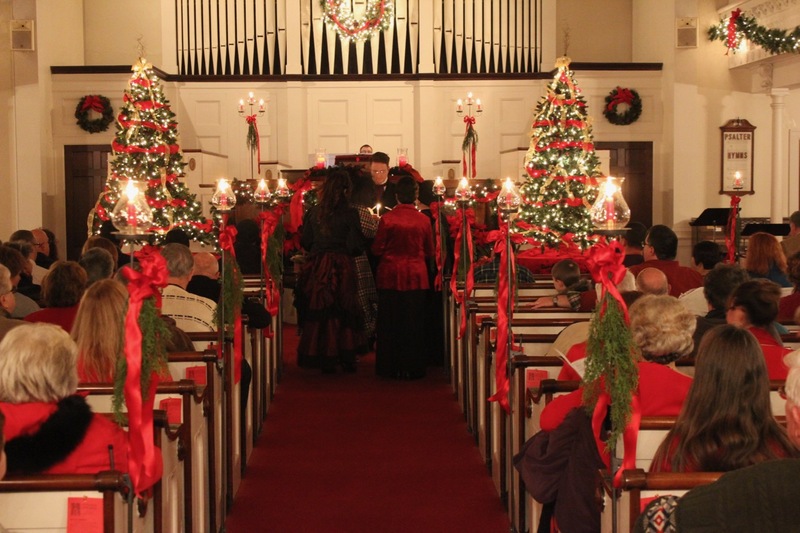 The first time I walked into Westfield’s historic 1854 sanctuary, I thought “Christmas!” My mother loved decorating for Christmas–a passion I inherited. There was a time during my childhood that our house sported eight Christmas trees–each with a different theme. Later, during that same visit, I offered my first notions of a plan to a member of the search committee who just happened to be a florist. “We can put a HUGE tree here,” I exclaimed as I pointed to a open spot in a nook between pews. “I’m talking 14′ or 16′! And there can be garland all around the balcony!” I spun around as I pointed, “And a big wreath on the organ pipes. And lights! Lots of lights!” Think a Jesus-y Buddy the Elf. And like most people who encountered Buddy in the holiday classic Elf, my member-florist had a look of fearful excitement and disbelief in her eyes. “Who is this guy?” she must’ve wondered. But as I kept talking, I began to the vision form in her mind’s eye, too. “And how many of these services do you want to have?” a member asked. “People don’t come back on Sunday nights,” she insisted. That first Sunday night, as I stood in the back of the sanctuary waiting to begin the service by singing as I walked down our center aisle, I counted 70 people–as many as we had on Sunday morning by that point. I was thrilled. People had come back. And then some! The next week, that number doubled. And attendance only continued to grow. We changed the name (Old-Fashioned Christmas became Victorian Christmas), and we adorned our sanctuary with seasonal greenery and ribbons. And, in what seems like the blink of an eye, we’re celebrating five years of Victorian Christmas this year–that’s five years of redefining the holidays for our quiet little corner of Connecticut. And let me tell you, there is something special about hearing 400+ people sing Silent Night. Don’t believe me? Take a look for yourself. It’s corny and schtick-y and wonderful and magical. And it’s redefined Christmas for our community. Trees! Wreaths! Garland! Lights! Candles! The first thing that you notice when you walk into A Victorian Christmas are those decorations on both the building and the people. You’re greeted by church members in period costumes as you walk into a cavernous room lit by candlelight. I love to watch people walk into the sanctuary for the first time on those cold December nights. They get out from under the balcony rim and stop, their heads swiveling back and forth taking it all in. For church year purists, the sanctuary adornments are a bit much so early in the season. In the Church, we celebrate Advent–a season of preparation that is markedly not Christmas. So the red and green (neither of which are the actual liturgical color for Christmas) along with all the trimmings can be a bit much. But the seasonal decor did more than beautify our sanctuary when all of this started–it gave us something to do together. For years, Westfield didn’t know if it could make it. There was the scrappy group of folks working hard to keep it going, but the idea of anything new seemed nearly insurmountable. But that first afternoon we held our now annual Hanging of the Greens, I watched as a congregation came together and made something magical happen. My group of faithful parishioners transformed a room with peeling paint and cracked walls into something altogether different. And what’s more: they did it together. The Hanging of the Greens is less about decorating and more about working together to create something beautiful for themselves, for God, for our community. The congregation didn’t think it had much to give Killingly. It turns out, it did. Years ago, a man nicknamed Mr. Christmas presented a GIANT Christmas display at his home in Killingly. Mervin Whipple’s Winter Wonderland was an attraction people came from miles around to witness. For decades, it was a holiday tradition. Time and again, when I first arrived and started talking up A Victorian Christmas, people would reminisce about the wonders of they’d encountered at Whipple’s. While it’s not the same kind of event (sorry y’all, we don’t have 40k Christmas lights inside the sanctuary! 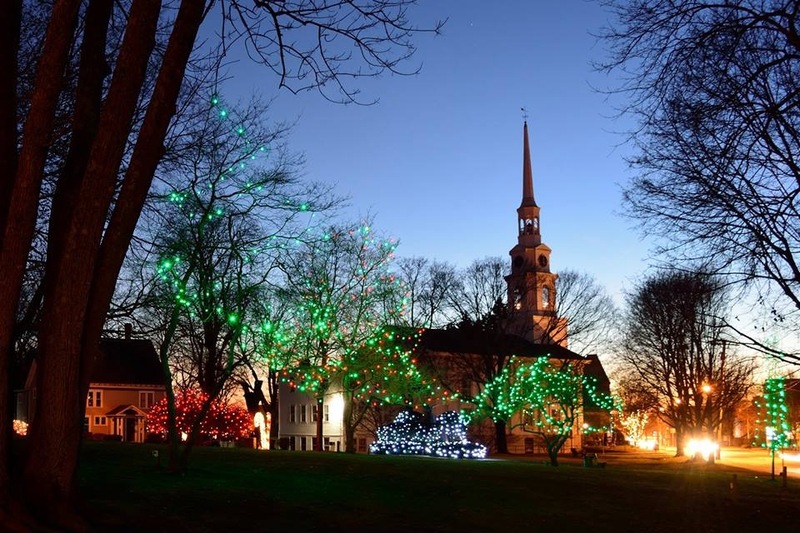 ), Victorian Christmas has taken up the mantle of being a holiday event the whole family comes to, and it has become a beloved tradition year in and year out–defining the holiday season for many in our quiet little town in Northeastern Connecticut. It’s more than a service. 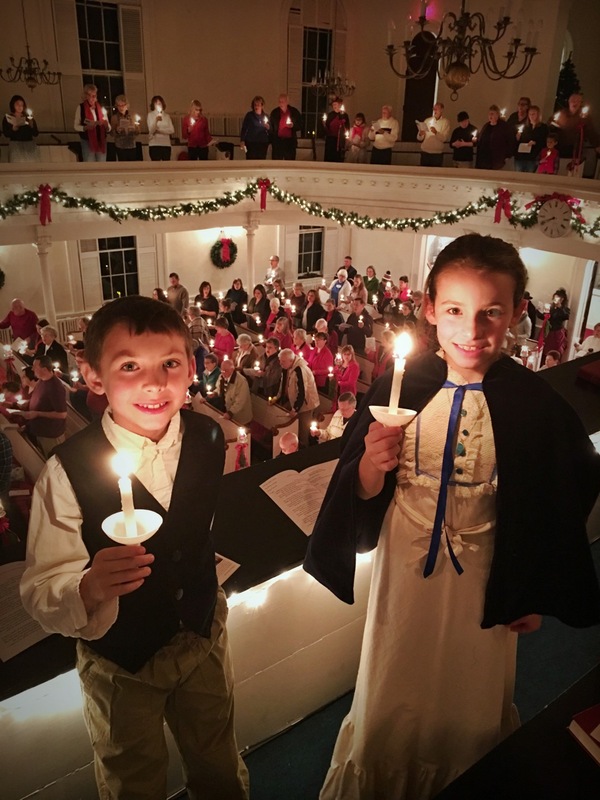 A Victorian Christmas also includes an annual feast (it sold out in days this year) and served as inspiration for Killingly’s New England Christmas that features thousands of luminaries lining Main Street and Davis Park (our town green)–an event our congregation spearheads. It’s beautiful. The truth is that, sometimes, it feels a bit like production behind the scenes. An hour before each service, before the doors even open, the church is buzzing with volunteers stuffing program covers, lighting candles, rehearsing their songs and turning on Christmas lights. It’s a well-oiled machine–one that takes A LOT of people to run. Really, the show-like quality extends into the service itself. And that’s on purpose. For churchy folks, it feels very worshipful and appropriate for the season. But here’s the thing: not everyone is churchy. In fact, there are lots of people who have been deeply hurt by the church. Our goal at the beginning of all this (and still!) is for people to encounter Westfield. And one of the greatest barriers and greatest assets in that effort is one simple reality: we’re a church. Being a church comes with a lot of baggage. More and more, the people who are our guests during Victorian Christmas are people who have complicated relationships with church, who want to believe in something deeper and be part of something bigger, but aren’t quite sure what that looks like. A Victorian Christmas gives them a chance to dip their toes into the church-y waters with little expectation on their end except to sing and hold their candle high (and, of course, NOT DROP IT. PLEASE DON’T DROP YOUR CANDLE!). It’s a small connection that has made a big difference in people’s lives. Not everyone who comes to a service becomes a member. In fact, few of them do. But, in the five years since the first Victorian Christmas, we’ve done numerous funerals of people whose only connection to us were these services. Time and again, people come to my office seeking counsel or prayer because they decided to come to Victorian Christmas. These services haven’t just changed the holidays in Killingly; they’ve changed lives. The greatest gift Victorian Christmas has given to my little congregation-that-could isn’t the visitors. It isn’t the newspaper write-ups or radio interviews. The greatest gift my people have been given is the belief that Westfield’s greatest days aren’t behind them. After the third Victorian Christmas ever, a longtime church member came up to me with tears in her eyes. “It’s been decades since we’ve heard that many people sing in this church,” she whispered, a emotional mix of awe and surprise in her voice. “I didn’t think I’d ever hear it again.” We had 160 In attendance that night. last week, there were more than 400. Each week, every year, the number of voices joining in the beloved songs of the season grows. And with it, grows my congregation’s confidence that though the landscape has changed and things aren’t what they were (and won’t be), that they still have something to offer this community–that Killingly is better for having them around, which is important because there was a time my congregants didn’t know if anyone would notice if Westfield closed its doors. It’s not about the towering steeple that stands as a proud bookend to the Danielson Main Street. It isn’t about the 300+ year history this storied congregation holds. And, truth-be-told, it isn’t even about the numbers of attendees, either. It’s about the new thing God is doing with the old, and about giving a group of people who’d been to the edge the hope of a future filled with meaning and purpose. A Victorian Christmas gave my church proof that it’s worth trying new things–that your greatest burden might just be your greatest asset. And that showing up for your community time and again is never the wrong answer. Turns out for Westfield, it was a gift wrapped in Christmas ribbons. And that is how Christmas saved Westfield. PS–If you haven’t been to Victorian Christmas yet, don’t miss your chance! 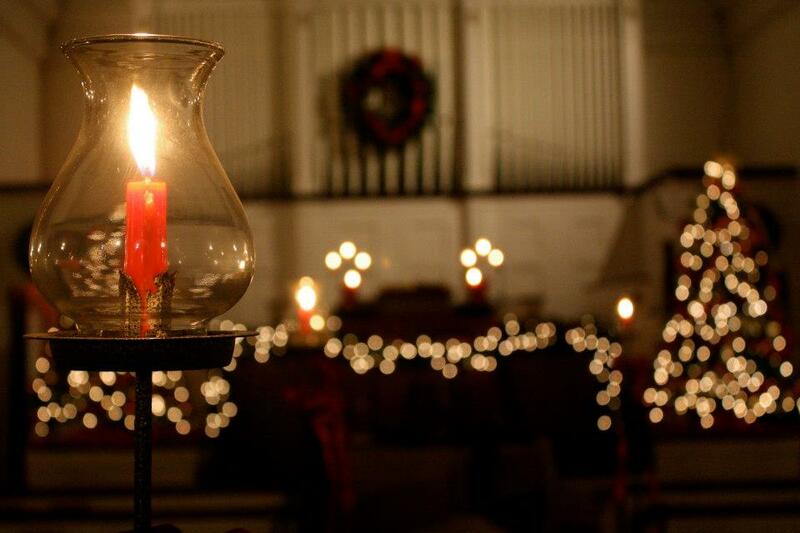 We’ve got one more service on Dec. 18 at 7pm, then a special Victorian Christmas Eve at 9pm on December 24. Beautiful, beautiful, beautiful, Paster Jon! Remarkable catalyst, Jon. Praise God for your ministry. but love it here. Guess I trusted, too! Merry Christmas, Jon.